It can be quite daunting to topple the Honda Accord from its lofty perch. No midsize sedan has been as critically acclaimed over the past three decades, and it has moved millions of units as one of the best-selling automotive nameplates of all time. But by the 2018 model year, when Honda unveiled a complete redesign to usher in its tenth production cycle, the Accord faced competition fiercer than ever before. One of its chief rivals is currently the Kia Optima, which has been around since 2000 and has won the hearts of critics and consumers for its fun-to-drive and attractive styling approach. Today, now in its fourth production cycle, the Optima is better than ever before. Ultimately, though, when it comes to the basics, it still has work to do to match the Honda Accord, let alone surpass it. With the new production cycle, Honda wanted to make the Accord more fuel-efficient than previous generations. As a result, it offers the choice between two turbocharged inline 4-cylinder engines: the L15B7 and the K20. (Absent is a V6 choice.) The L15B7, which is a 1.5-liter turbo I4, is the smaller of the two engines. You can hitch it to a continuously variable transmission (CVT), which is an automatic transmission that changes seamlessly through a continuous range of gear ratios, rather than rely on the energy-consuming gear shifting typical on other gearboxes. As a result, gas mileage on the Accord peaks at 30 mpg in the city and 38 mpg on the highway. Like its Honda counterpart, the 2018 Kia Optima provides two turbocharged I4 engine choices, the more efficient of which is the Gamma G4FJ: a 1.6-liter machine that is glued to a 7-speed dual-clutch transmission (DCT). Although the DCT improves fuel efficiency by relying on two separate clutches instead of the standard one, it still uses the gear-shifting mechanism that the CVT avoids. And the Gamma engine is slightly bigger than the L15B7—and thus needs more gas. Ultimately, the Optima’s peak gas mileage is 28/37 mpg: 2 less mpg in the city and 1 less mpg on the highway than the Accord. Of course, if you value engine output over fuel efficiency, you can go with the larger and more powerful engines. On the 2018 Honda Accord—if you choose the Sport, EX-L, or Touring—that engine is the K20, which is a 2.0-liter I4 that produces 252 horsepower and 273 lb-ft of torque. On the 2018 Kia Optima, that engine is also a 2.0-liter I4, which is named Theta II. However, at an output of 245 horsepower and 260 lb-ft of torque, it produces 7 less horsepower and 13 less lb-ft of torque than the Honda’s K20. U.S. News & World Report ranks each new car by aggregating and evaluating professional and industry expert reviews. 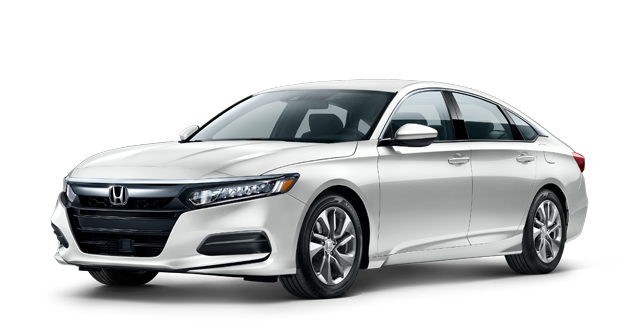 For the 2018 model year, the publication considers the Honda Accord the #2 entry in its Midsize Cars category. U.S. News & World Report cites spaciousness, comfortable seats, engaged handling, and a healthy number of standard driver-assistance technologies—in addition to the previously discussed great gas mileage—as its main attributes. In the same category, the publication places the Kia Optima at #6. To test-drive the 2018 Honda Accord, rather than the 2018 Kia Optima, call us today at our Michigan City, Indiana dealership. With sterling aggregated reviews on Google, DealerRater.com, and Cars.com, we firmly believe that you will be thoroughly satisfied with the level of customer service at our dealership. Set up an appointment with one of our Honda sales specialists, who will be more than happy to assist you in getting the right Honda Accord for you. ** ** 30 city/38 highway/33 combined mpg rating for 1.5T LX, EX and EX-L models with CVT. 26 city/35 highway/30 combined mpg rating for 1.5T Sport models with 6-speed manual transmission. 29 city/35 highway/31 combined mpg rating for 1.5T Sport and Touring models with CVT. 22 city/32 highway/26 combined mpg rating for 2.0T Sport models with 6-speed manual transmission. 22 city/32 highway/26 combined mpg rating for 2.0T Sport and Touring models with 10-speed automatic transmission. 23 city/34 highway/27 combined mpg rating for 2.0T EX-L models with 10-speed automatic transmission. 47 city/47 highway/47 combined mpg rating for Hybrid models with E-CVT. Based on 2018 EPA mileage ratings. Use for comparison purposes only. Your mileage will vary depending on how you drive and maintain your vehicle, driving conditions and other factors.